Thousends of tourists annually visit the historical attractions in Athens. 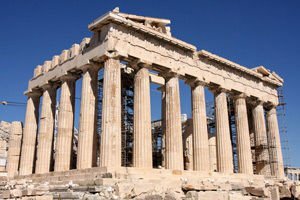 Athens is one of the most exciting cities in Europe, mostly because of its ancient history and amazing architectural historical monuments. They relate to the former glory of Athens as the most important city for several centuries to ancient Greece. Athens is a unique historic town, which seems somewhat reluctant to accept the image of a modern European capital. Today Athens is the administrative, political, cultural, and transport icon capital of Greece. There is much to see, but it is most advisable to do so in autumn when the weather is nice and warm and the burning heat of summer has left. The transport in Athens during the summer and even in the urban areas the transport has air conditioning to save residents from the excruciating heat. Note that congestion in the city also becomes quite serious. The historic Square Syntagma is considered the center of the economic, political and commercial life in Athens. There you can see Hotel Grande Bretagne and the Voulis Monument of the Unknown Soldier which stands beside the Parliament building. The square leads to two of the largest and busiest streets of Athens - Stadiou and Ermou. They are clearly commercial, and there they have the most famous boutiques of international fashion brands. The parliament building was built in 1843 as a typical example of early neo-classicism in Greece. The proper geometric forms were last renovated in 1910 when a new architectural plan was put in place to respond more adequately to the needs of Parliament. Originally the building was built as a palace for the 17 year old Bavarian prince and son of King Ludwig, Otto von Wittelsbach. At this time all of the square "Syntagma" was a beautiful garden before the palace. An interesting fact is that during the excavations for the reconstruction of the subway in Athens they found a large number of priceless archaeological treasures, some of which are now set out in separate windows, along stations of the Greek capital. Artefacts dating from the late period until the late Roman period, between 1100 BC and 300 AD. 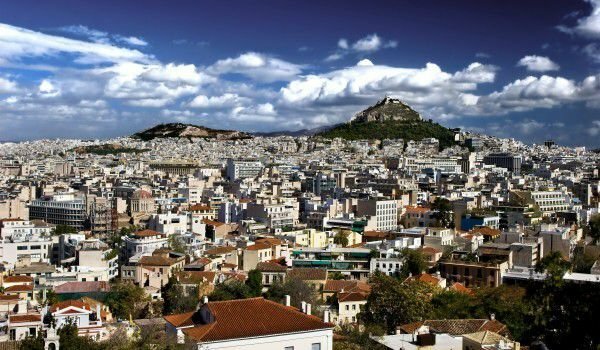 Be sure to walk down the oldest neighborhood in the newer part of Athens - Plaka. This unique historic part of town will charm you with its complex tangle of streets, most of which were marked according to the ancient plan of the city. There you can feel immediately that the neighborhood has not changed for centuries. Mainly the architecture remains, small picturesque streets riched with buildings in ancient and Byzantine architectural styles. "Plate" in Athens is one of the mandatory places to visit for tourists. We can not forget the most important sights of Athens, which it boasts to the world. Among them are the temple of Zeus, Hadrian's Arch which is close to it and the Acropolis. Hadrian’s Arch was erected in honor of the Roman Emperor Hadrian in 131 years, when his army conquered the city. It was built on the ancient road that links the old Athens with the new Roman city. On both sides of the arch you can see inscriptions. The part, which faces the Acropolis reads, "This is Athens, the former city of Theseus ". On the other side the words engraved are, "This is the city of Hadrian and not of Theseus". You must see the Roman Forum, which was completed in 11 BC by Gaius Julius Caesar and Augustus. During the rule of the Roman Empire in the foothills of the Acropolis was situated the ancient agora, with which the Roman Forum has been connected. The length of this antiquity of Athens reaches 11 meters in width and is 98 meters long.